Our best selling Retinol Moisturizer is our customer's favorite moisturizer for the face and neck. This intensive, lightweight face cream contains powerful Retinol, Vitamin E, Vitamin B5, Shea Butter, Jojoba Oil, Green Tea, and other great ingredients! 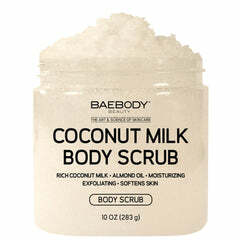 An ideal moisturizer for daily use, morning and night. 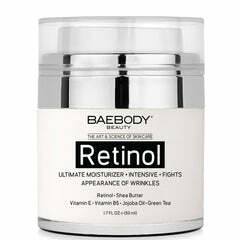 Try pairing this Retinol Moisturizer with our Eye Gel and Facial Serums. Wash and pat skin dry. Apply to the face, neck and décolletage. Gently massage into your skin with circular upward motions. Can be used morning and night. Use regularly for best results. Caution: Use only as directed. Avoid direct contact with eyes. If product gets into eyes, rinse well with water. Keep out of reach of children.